Los Angeles is world-famous for its nightlife. But how many know about its night-death? 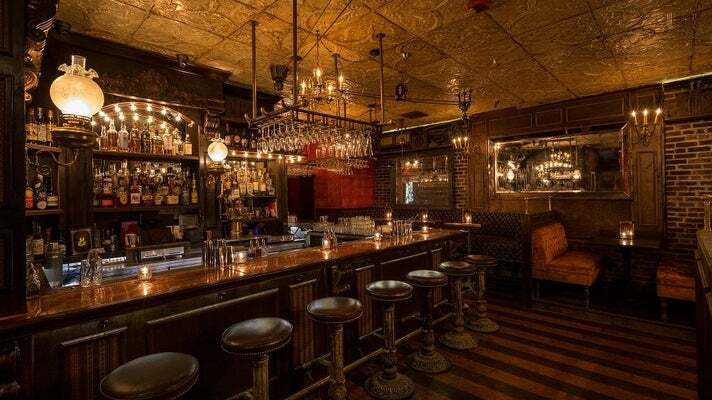 If you've always wanted to have drinks with a ghost, L.A. is your town. Haunted party people float through beastly boîtes in every corner of our mysterious city. 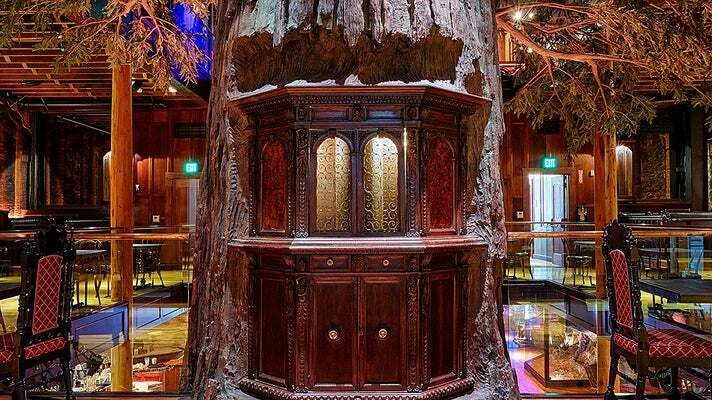 We've gathered some of the most spirited places in L.A. to consume spirits. If you'd like to learn more, Richard Carradine, founder of GHOULA (Ghost Hunters of Urban Los Angeles), has written the definitive tome on the topic, Spirits with Spirits. The history of Clifton's Republic reaches back to the Great Depression. Clifford Clinton founded his cafeteria chain on a principle: the meals would be "pay-what-you-wish" and no one would be turned away hungry even if they couldn't pay at all. But Clinton had his darker side: a lifelong mistress so obsessed with him that she had her ashes scattered at the cafeteria. When the former Clifton's Brookdale (opened in 1935 as the second restaurant in the chain) was being restored for its grand reopening in 2015 (including its spooky, Disney-like "forest" theme and taxidermied animals), workers continually saw—and even photographed—the mistress' restless Jazz Age spirit. Located in the bottom floor of the Gaylord Apartments - dating back to a time when “gay” still meant “happy” - the H.M.S. 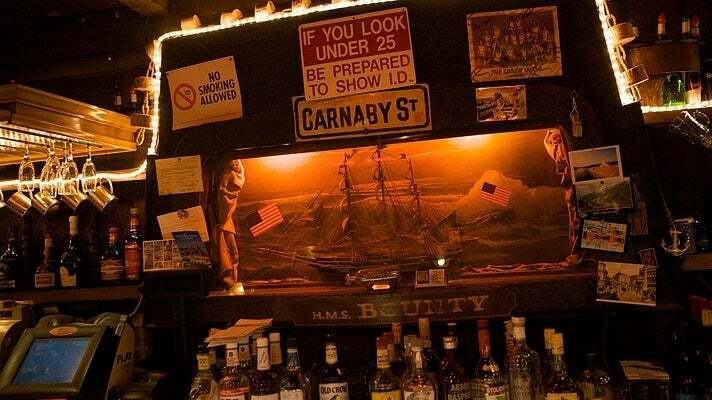 Bounty is a beautifully-preserved 1920s-era nautical bar built by Gaylord Wilshire, for whom Wilshire Boulevard is named. In a primal act of gentrification, he created the Miracle Mile by building it atop the City Dump—which had been a popular place to dump murdered bodies as well. Visitors to the Bounty’s ladies’ room be warned—you may feel the pinch of a leering phantom real estate developer with a huge sense of entitlement. 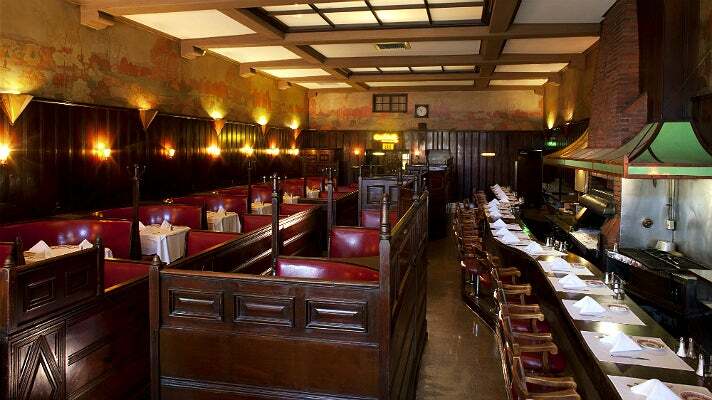 The oldest restaurant in Hollywood, Musso & Frank Grill will celebrate its centennial in 2019. And after being open for nearly 100 years, a place accumulates a lot of ghosts. It would seem that in the celebrity afterlife, Musso's is still the place to go, as the shades of Errol Flynn, Orson Welles, and Jean Harlow have been spotted there apparently on break from haunting their respective homes. One ghost who remains loyal to this historic eatery (famous for its Martinis and flannel cakes) is Charlie Chaplin. Regulars maintain he can still be found cozily ensconced in the booth where he dined every day for years and was always kept ready for him—No. 1 in the Old Room, right by the window. Part of the Houston Hospitality nightlife collective, Black Rabbit Rose is an intimate theatre located at the 1917 Hillview Apartments building on Hollywood Boulevard. Now known as the Hudson Apartments, the historic four-story building is believed to be haunted by its former residents—ghostly stars of the silent film era. Once celebrated for its decadence as the former speakeasy of Golden Age Hollywood heartthrob, Rudolph Valentino, the building is rumored to have an obscure occult lineage as well, with traces of a Secret Society whose mysteries have never been fully disclosed, and whose ritual traditions have actually never ceased. 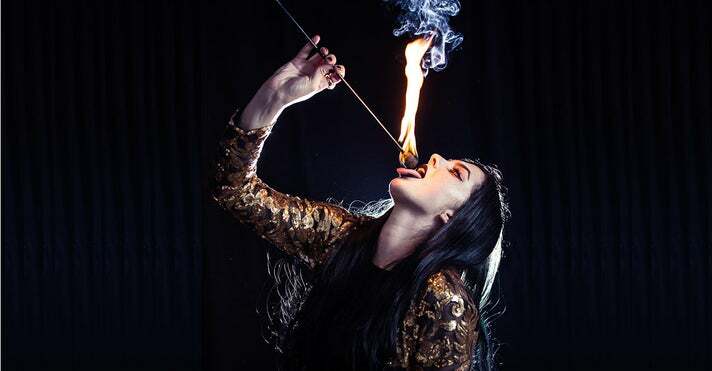 The Black Rabbit Lounge offers cocktails and Thai-Chinese favorites (courtesy of the Crying Tiger takeout window), while the Rose Theatre hosts magic shows and burlesque performances Thursday-Saturday. It might not be the most haunted place to stop for a beer in Hollywood, but it is perhaps the most perplexing. Built in 1946, the Snow White Cafe features an above-the-door mural painted by the original Snow White animators, with the odd legend, “We hope we have pleased you.” Some surmise that it was a gift from grateful Disney staffers, including Walt himself, who used to meet there for brainstorming sessions. If the ghosts of an idea aren’t scary enough, there’s plenty of paranormal activity next door at the Hollywood Wax Museum. 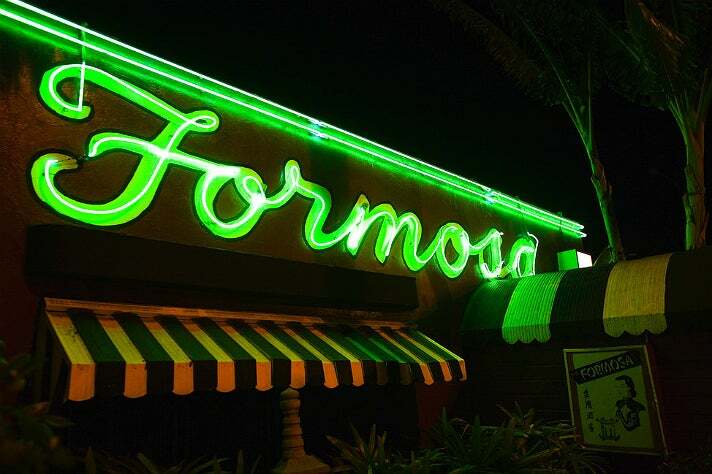 NOTE: Formosa Cafe is currently closed for renovations. Many of L.A.’s most frightening tales have to do with Hollywood (of course). 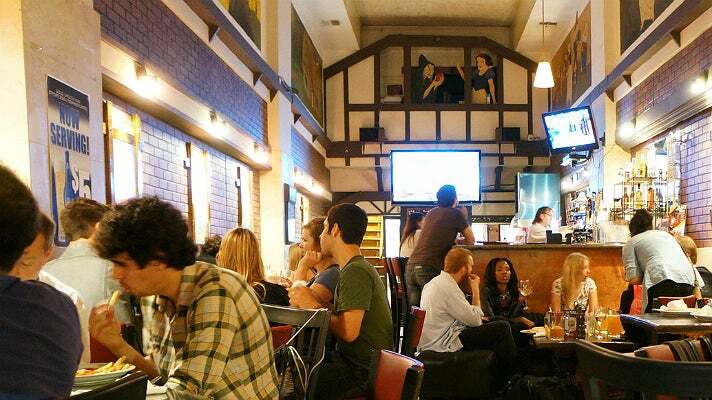 Located in Studio City, Residuals Tavern opened in 1986 as “Re$iduals” - named for the ever-diminishing checks an actor gets for repeat airings of a TV program. It catered to small-time actors, haunted by not much more than the specters of their failed careers. However, there are whispers of a thespian ghost in the attic crawlspace, which the staff and owners refuse to talk about when pressed. 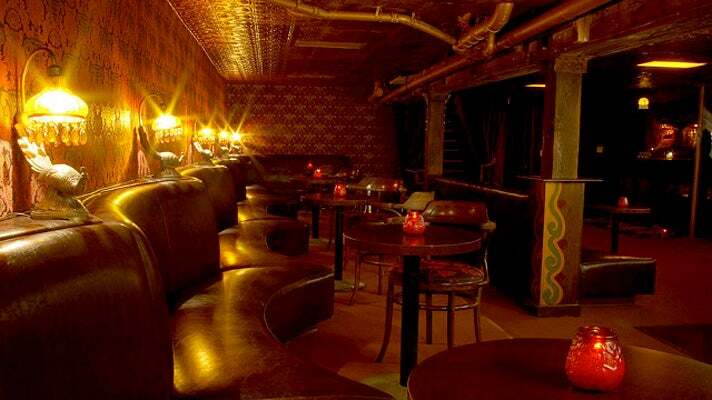 Located on Windward Avenue just steps from Venice Beach, the historic Townhouse and its basement venue, the Del Monte opened as Menotti’s in 1915. 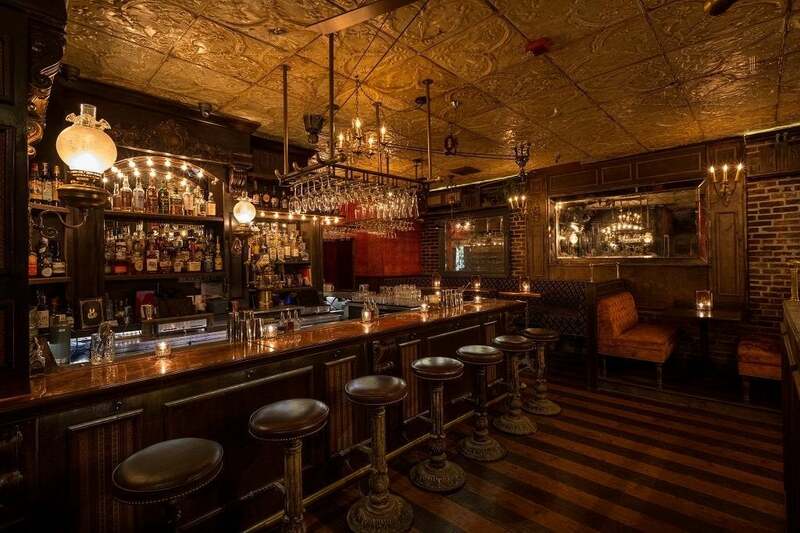 The oldest bar in Venice, the Townhouse became a “grocery store” during the Prohibition era, while the Del Monte was a true speakeasy and a hub for rum runners. 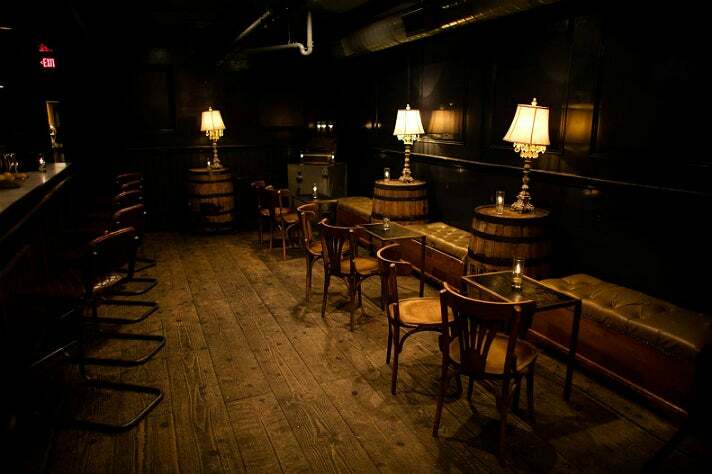 After the repeal of Prohibition, the above-ground bar re-opened its doors and boasted regular patrons such as Venice resident Jim Morrison of The Doors. Today the bar continues to be a Venice community hub, featuring craft cocktails and nightly entertainment. The spirit of Frank Bennett, who owned the bar from 1972 until he passed away in 2003, has been felt at his favorite booth, in the corner where he can keep an eye on the bar. 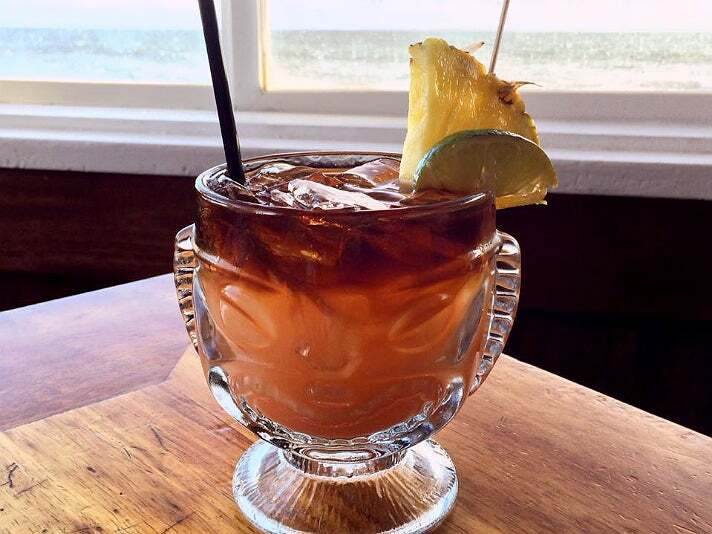 Celebrating its 20th anniversary in 2016, Duke's Malibu is one of six Hawaiian-inspired restaurants named for Duke Kahanamoku, native Hawaiian, Olympic Gold Medalist, and the father of modern day surfing. The Barefoot Bar offers ocean views and themed drinks like Duke's Mai Tai, South Swell Margarita, Lava FLow. This coastal spot began its story as the Las Flores Inn in 1915 and was purchased in 1944 by “Captain” Chris Polos, a Greek immigrant who renamed it the Malibu Sea Lion, complete with a tank of actual pinnipeds. Polos lived in an apartment above the restaurant and worked there every day of his life until passing away in 1986 at 99. His spirit has been keeping an eye on things ever since. Originally located on Ocean Boulevard and home to one of Santa Monica’s first families, the 1892 manse that is now The Victorian was moved to Heritage Square on Main Street in 1973. (Not to be confused with the Heritage Square Museum in Montecito Heights.) Its last caretaker was an elderly lady named Delia - no one is quite sure who she was or where she disappeared to when the house was moved. 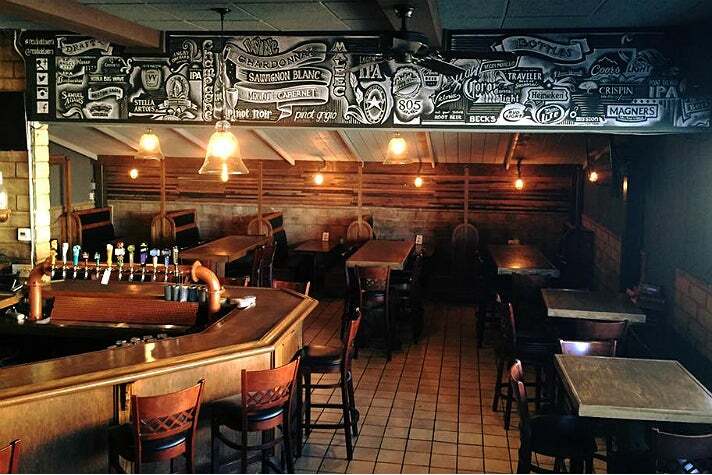 Some say she never left - including the staff of the Basement Tavern, located downstairs at The Victorian.